I was browsing my files that was recovered in my USB flash drive a couple of hours ago. Those files had been corrupted by a virus and I thought I can't recover it no more but thanks to my brother in-law who is a computer genius and he was able to recover it. I was looking at those photos and then I went through the folder under Violy's name. Those were all photos of my late sister Violy that I took with my camera and memories flashed back as I looked at her lovely pics. When I clicked her photos taken when she was very ill, that was during her birthday, just 4 days before she went to heaven, I can't help myself but cry. She looked so skinny, like skin and bones, dark and I saw the pain and hardships she's been going through. I bawled like a baby while I was looking at her pics. They were pics of her and her two boys, her and her hubby. her and me, her and hubby, her and my SIL Marlyn, her and her friends Nelia and Delia and she was really so sick due to her illness. She battled cancer of the liver for 5 months and she can only eat a little due to so much pain in her stomach every time she eats. My chest is so heavy again and tears are flowing while typing this. I thought I already got over Violy's passing away. 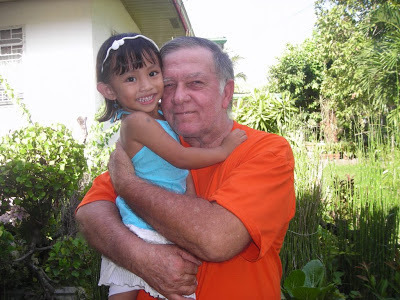 I even posted it HERE in my other blog but those photos of hers in her last days made me cry. Hubby was already in bed when he heard me crying. He asked what's wrong but I just kept bawling. He got up and approached me and I showed him Violy's pics. He said something but I didn't understand what he said. He sounded like he was mumbling. Maybe he thought I was sick or crazy maybe. It's just hard for me to see those photos of Violy during her last days. How could a very beautiful lady became so thin, dark and old due to cancer. Oh God, I hate cancer! It took my beloved sister's life and my mother too. I don't want to show those pics of Violy to other people. I want them to remember her as a beautiful lady, full of life, bubbly and with the sweetest smile ever. I really thank God those files were recovered or else I could have lost Violy's pics including her funeral photos. Now my chest is still heavy. I just dreamed of Violy the other night. It's the first time she visited me in my dreams since she passed away. I told it to hubby and my youngest brother. The more I miss her so much but I know she's so happy now with Jesus in heaven where there is genuine joy, peace and rest. My hubby and my soon to be 5 years old niece Vernice have a special bonding together. They joke, they laugh and play together. 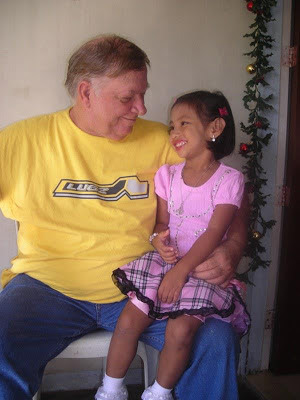 My hubby taught her how to speak English and she taught him some Tagalog words. Whatever my hubby eats or drink, she wants it also. She got her liking of brewed Lipton iced tea and Skyflakes crackers from hubby. 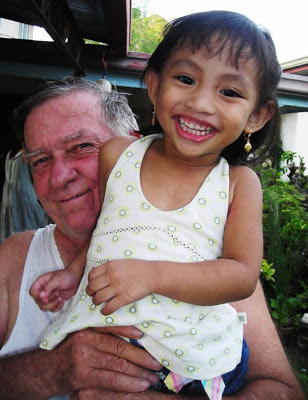 Not so many kids here in the Philippines like to drink hubby's iced tea but Vernice do love it. Whenever she see hubby's glass of iced tea on the table, she will get and drink it. To be honest, I'm not very fond of iced tea. Most kids prefer wafers or cookies than crackers but Vernice prefer skyflakes crackers. Why? Because that's what hubby eats almost every meal. Hubby eats crackers with his rice, lol! We take care of Vernice while her parents are at work. She calls hubby daddy and she calls me mommy. I can tell that she's closer to him than me. She gives him hugs and kisses most of the time and when she wants milk, she'll go to hubby rather than me. Hubby willingly obliged to mix her milk in the bottle. I'm the one giving her bath though and potty training. Vernice is a very sweet li'l girl. Not only she gives us hugs and kisses every day but she always say "I love you" to us. She always entertain us with her singing. Hubby says life would be boring without Vernice. The other day when I came home from the grocery store, I found Vernice sleeping on the floor under hubby's feet while hubby was watching tv in the living room. I found it so unusual. This afternoon, Vernice slept again under hubby's feet in the same chair where hubby always sit in the living room while he is watching tv. I asked hubby why she likes to sleep there and he said, they were both watching tv together and she was sitting beside hubby's foot and she fell asleep. I got my camera this time and took pictures. I told hubby this reminds me of a puppy sitting beside her master and then finally fell asleep, lol! I can't believe it's been more than 2 weeks since I posted here. Time flies so fast. I don't have a lot of things to post anyway. A couple of weeks ago, we went to the immigration office in Dagupan to pay hubby's annual fee for staying here in my homeland. He got his permanent resident visa but he is required to pay the annual fee each year. Hubby usually pay 300 pesos but this time, he was charged 900 pesos. I asked why and the clerk said hubby have to pay the penalty because he should have paid on the first month of the year. They charge 200 pesos penalty each month for late payment so that explains the jack up of the price. Now we know so we would be up to date in paying next time. They didn't tell hubby about it before. For the past 2 years, hubby had been up to date in paying but due to our busyness in our house renovation early this year, we kept forgetting about it. We had to wait on the chief officer to sign the papers until it was already lunch time and he was not yet around. A lot of people were there waiting also. The clerk told us that his chief officer was on field and he said he was already on his way to the office. Well we can't wait that long no more because our bellies were growling already. My niece Vernice, Dominica and my youngest brother who drove for us were outside waiting on us. So we decided to leave and just go back later. 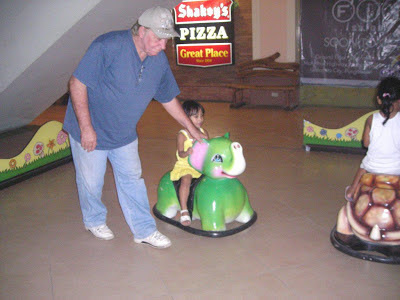 Off we went to CSI Mall in Lucao and ate lunch at Shakey's. It's one of my hubby's favorite restaurants. It was jampacked there but we managed to get a table for the five of us. We ordered and ate to heart's delight. After we ate and paid the bill, we went to buy groceries and school supplies for Dominica. It took us a while to buy all the things we need and when we were done it was already past 3PM. We went back to the immigration and got hubby's receipt of payment. The chief officer was already there and handed hubby's OR. Then we drove back home.